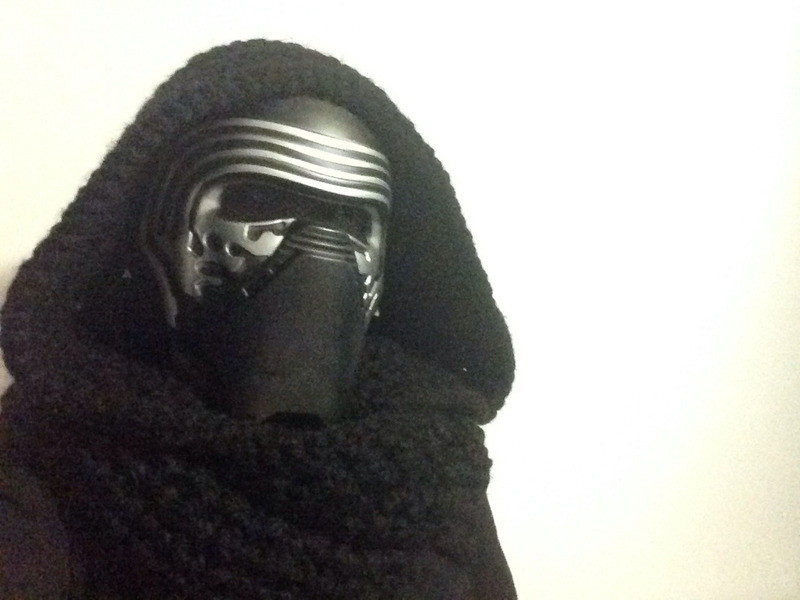 Why yes, that is a Kylo Ren mask! I made this combination hood and scarf using this scoodie pattern. From my calculations, I thought the scoodie would take about two balls of yarn to make, but it ended up taking six. It’s difficult to photograph without it looking faded or without all of the detail disappearing, but I hope these photos give an idea of what it looks like. The pattern was a video pattern, which I personally do not like as much as a written pattern, but the scoodie was very easy to make. I would definitely suggest this pattern to people learning to crochet, because of its simple design with great visuals in the instructional video. It worked up very quickly because of the thickness of the yarn, and the scoodie is very warm – perfect for cold days! 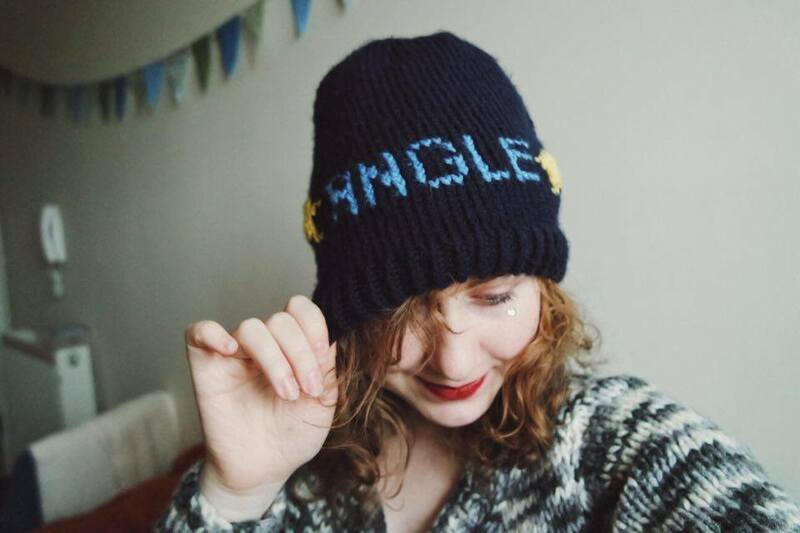 I made this hat for my friend Nicole, who told me to make her a hat that “has a random word on it that you think describes me”. 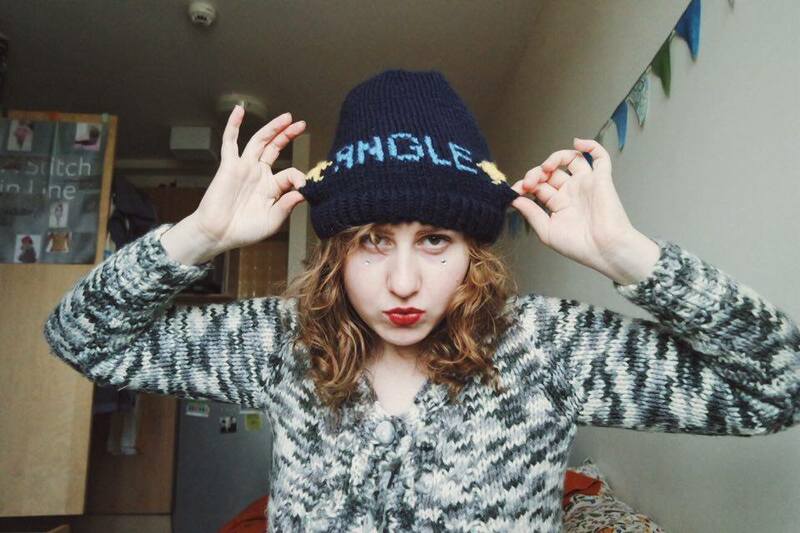 Of course I went with ‘★ANGLE★’, a reference to my friend being an angel, and to an image that went around ages ago that said “I can be your devil or angle” on it. All of the pictures of the hat (with Nicole in it) were taken by Nicole. I tried to use a couple websites I found through google that translate images to knitting patterns, but I found it difficult to get the patterns to look how i wanted it to. Instead, I printed out a knitting pattern template, which is basically a grid of rectangles roughly the same size and shape of stitches, and drew out the letters and stars on that. The knitting method I used for the lettering is called stranded knitting technique, and involves ‘floats’ of yarn to be left on the back of the work. My tension for these floats were off in the space behind the stars, which resulted in them puffing out quite a bit. My tension in the lettering, however, is much better, and that section is very flat. I think I just need more practice in order to fix my tension issues. Overall, I do like the hat a lot, and I think it’s perfect for Nicole.